I've had a few requests for watercolor videos over the years and I've resisted because I hate being on camera. But I do love sharing my knowledge and love of watercolors, so I'm working on a few short watercolor flower tutorial videos featuring just my hands. I think I'm safe there! 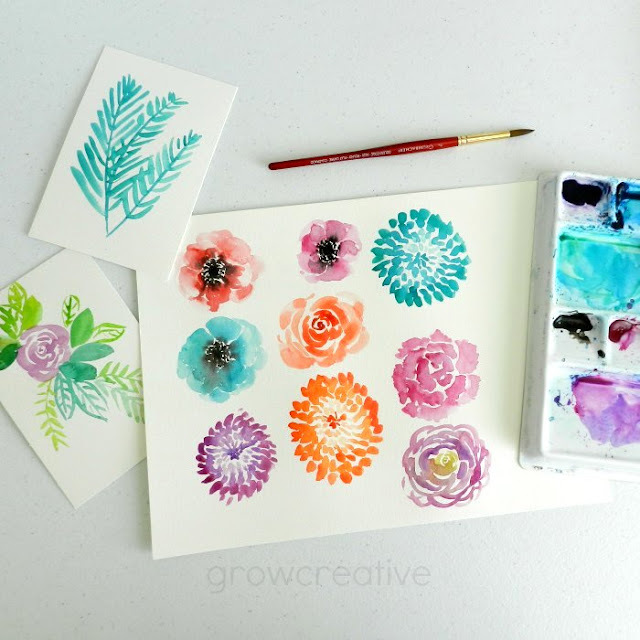 So stay tuned to learn how to paint five watercolor flowers plus leaves and greens around the flowers. I hope you'll check the videos out and give me some feedback. This video-blogging is new to me! Oh, good news! I'll wait and watch with pleasure! You're doing great! Maybe this will be the kick I need to finally try watercolour. I bought all the supplies but can't seem to get started.